PHUKET, THAILAND – April 4, 2019 – In the South of Thailand, the island of Phuket has always been one of the most popular tourist destinations with the multitude of exciting experiences it has to offer. 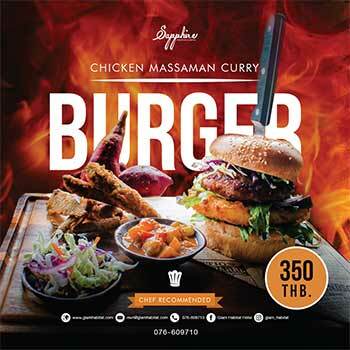 Apart from clear blue waters and picturesque sceneries, Phuket is an island filled with an assortment of adventures for foodies, adrenaline junkies, families, couples, and all kinds of travelers. With IndiGo (link here) and GoAir (link here) recently operating direct flights to Phuket from various metro cities in India, an influx of Indian tourists are anticipated and welcomed with open arms. Hilton Phuket Arcadia Resort & Spa, one of the island’s biggest resorts, proves once again how it is able to provide exceptional and personalized experiences to its guests- this time by bringing a new addition to its diverse dining offers with its new Indian chef, Chef Mangesh Kawle, bringing the taste of India to Phuket through his culinary masterpieces. 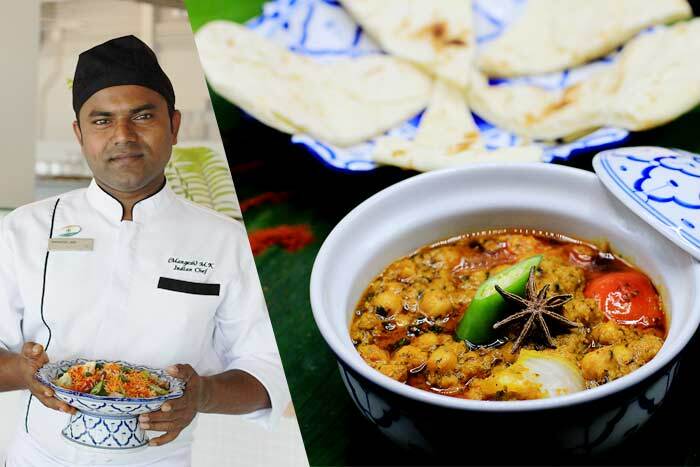 Chef MK, as he is fondly called, showcases his authentic Indian cuisine at Hilton Phuket’s Sails Restaurant during the Sunday Family Brunch and Thursday Asian-themed nights. Chef MK has a unique cooking style, adding a twist to every dish, making his masterpieces truly one of a kind. His specialties include Chicken Tikka Masala and Butter Chicken which are truly a hit among guests and a must-try for foodies! Also providing personalized meals for guests with special dietary needs, Chef MK has his Indian dishes available on the resort’s dining menu for those who’d like to get a taste of home away from home, any time of the day. To top it all off, Chef MK spices up the kitchen during special occasions like Indian weddings and corporate functions. Hilton Phuket caters to almost all sorts of events with its 75 acres of lush tropical gardens offering spacious indoor and outdoor venues, with a professional in-house events team to transform your visions into reality. Apart from being an excellent venue for events and functions, Hilton Phuket is the perfect hideaway for families who are looking into experiencing a fun-filled holiday together. Located conveniently near the beach with 5 different pools, among the many family-friendly features of the resort include its family rooms, interconnecting rooms, a kids’ menu, a kids’ club, and game room. The resort’s award-winning eforea Spa has 15 private villas and is well recommended for those who seek pampering and relaxation. Having been established as a leader in the hospitality industry, Hilton Phuket Arcadia Resort & Spa leads in providing exceptional experiences by personalizing every guest’s stay according to their preference and needs.